This Festschrift is published on the occasion of Gerhard Heinzmann's 60th birthday. 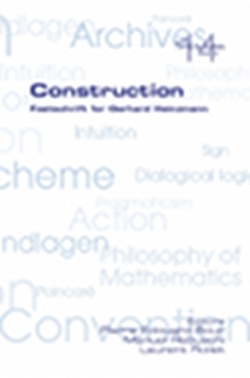 Its title "Construction" refers to Heinzmann's philosophical options (intuitionism, dialogical pragmaticism, constructivism), as well as to his exceptional involvement in the building of many scientific enterprises and new scientific intuitions. Sixty authors contributed to the volume, ad the gathered essays witness the various centers of interest and intellectual achievements of Heinzmann. They are organised in five sections: (1) Henri Poincare; (2) History and Philosophy of Mathematics; (3) History and Philosophy of Logic; (4) Pragmatism; and (5) Miscellaneous.